Can't always get your precious princess to the groomers? Too busy traveling with your pooch? Too many play dates and dog park visits leave you too tired to wash her royal highness? If so, Prince Borghese has the answer in these life-saving (yours!) dry shampoos ... Your best friend will love the pampering and she'll never figure out you just gave her a bath. How divine! 1 spritz for dogs under 25 lbs. 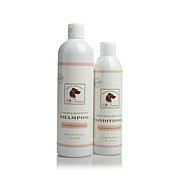 2 spritz for dogs 25-50 lbs. Keeps your royal highness clean, soft and smelling divine! Received this wonderful royal treatment and my shih tzu is so happy and smells so good I love it. Love Lorenzo's products! So many thoughtful features. This is what our precious pets deserve! Recommended for sure! So glad we got this set before it sold out! Perfect configuration, shampoo and spray. Two shampoos or a liter pump would be great! Been enjoying many spray scents. Paw cream and Papaya Wipes (restock soon please!). Been bathing our doggie with Currant Blackberry. Decided to try Olive Oil. Works just as well, of course. Love that it's tearless. The scent is a lot like Perlier Olivarium which is what I was hoping! Another reviewer reminded me there used to be an Orange Sugarcane scent. Yes, Please! I have three dogs and my daughter has two, so this is well tested. 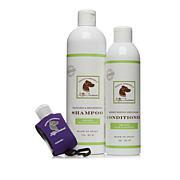 Works great for all dogs and leaves them soft and fresh smelling, wont ever be without it. I would definitely recommend this for your pet is smells so good. 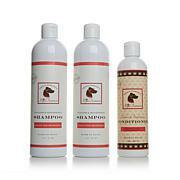 This shampoo made my dog's fur so soft and the fragrance lasted for days. The spritz is also nice.